Is a Ruby a Type of Sapphire? It is usually said that there are four precious gemstones in the world: diamond, ruby, sapphire, and emerald. But are there really four, or just three? You may have heard that rubies and sapphires are essentially the same type of gemstone, and that the only difference is color: rubies are red and sapphires are not. Is that the case? And if so, why do we have a different name for rubies? And where is the line drawn between rubies and sapphires? First, let’s talk about what makes a gemstone a sapphire. A sapphire is classified as part of a family of gemstones called “corundum.” Corundum is a crystalline form of aluminum oxide which is naturally transparent. All transparent corundum is considered a gemstone, and they can come in a huge range of colors. Unless a specimen is red or a particular color of pink-orange, it is classified as a sapphire. Sapphires actually come in a rainbow of hues, not just blue, even though sapphire is best known as a blue stone. You can have yellow sapphires, green sapphires, transparent sapphires, and many other shades. There are also special star sapphires that contain inclusions that cause a special light refracting effect on the surface. These sapphires are particularly prized, and are one of the few gemstones where clarity isn’t desirable at all. Without inclusions, you cannot have a star sapphire. 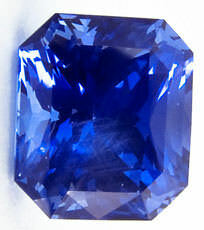 Most sapphires come from Sri Lanka, China, Thailand, Australia, Madagascar, East Africa, and North America. Sapphire is September’s birthstone. Interestingly enough, there are pink sapphires. The pink color in sapphire comes from a mineral impurity of chromium. The other sapphire colors come from other mineral impurities. The more chromium is present in a sapphire, the deeper its color. Once the color gets deep enough, it starts to look red—the color of rubies. At that point, it is no longer classified as a sapphire at all, but as a ruby. So rubies too are sapphires with chromium impurities. 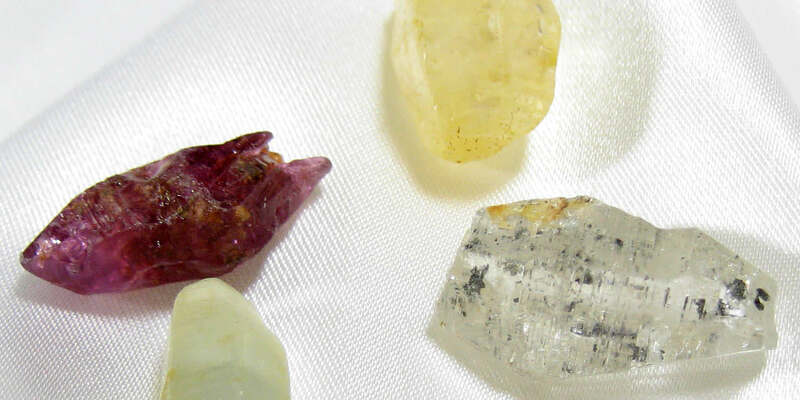 Ironically enough, the name “sapphire” actually comes from a Sanskrit word which translates to “ruby.” Another Sanskrit word you may encounter when shopping for corundum gemstones is padparadscha. Padparadscha is the rarest of all natural corundum colors. While it is not as famous as ruby or sapphire, it is quite precious and can fetch a very high price. Sometimes padparadscha is called “padparadscha sapphire”. It is the same gemstone in either case. 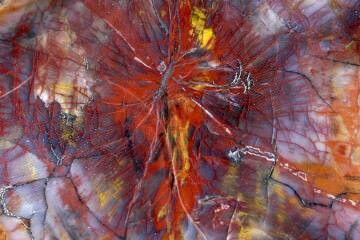 According to US standards, a corundum specimen must meet a certain minimum color saturation threshold to be classified as a ruby. 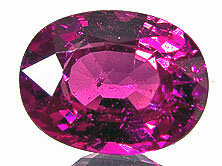 If it is too light in color, it will be classified instead as a pink sapphire. The name “ruby” comes not from the Sanskrit, but from the Latin for “red”. Rubies rate a 9.0 on the Mohs scale of hardness, bringing them in right behind diamonds, which rate a 10.0. The bolder and brighter the red color of a ruby, the more valuable it is overall. Those which have a cooler purplish tint are not considered as desirable as those which are more of a “true” red. Pink stones are sometimes called rubies (as opposed to pink sapphires), but once again, they are not considered as valuable as red rubies. It wasn’t actually until the 20th century that a distinction was made between a ruby and a pink sapphire. Previously, all pink sapphires were classified as rubies. The distinction is considered quite subjective. This has caused professional organizations like the International Colored Gemstone Association (ICA) to adopt broad definitions for rubies. That way pink sapphires may be classified as rubies. As with diamonds, not only color, but also clarity, cut, and carat are important when evaluating the price of a ruby. Needle-like inclusions are very common, and a ruby which is clear of inclusions has usually been treated artificially to remove them. Ruby is the birthstone for the month of July, and is a brighter red than January’s garnet. There are many treatments and enhancements which can be done to alter or improve the color of a ruby. 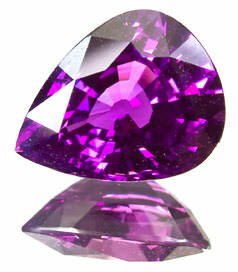 Heat treatments are common to remove the purple tinge from rubies, creating a truer red. Another trick which does not actually alter the gemstone but does impact appearance is to set a purplish ruby in yellow gold. Since the stone is transparent, the yellow color of the gold neutralizes the blue tint in the ruby. This makes the stone appear to be a truer red. This is something to keep in mind when shopping for ruby jewelry, because your ruby may not be as red as it appears. This in turn should be reflected in the price. So is a ruby a type of sapphire? In a sense, yes, but perhaps it would be more accurate to say both rubies and sapphires are types of corundum. This is the gemstone family to which they both belong, and it is only the color which causes a corundum to be classified one way or the other. Most people wouldn’t know to list “corundum” as a precious gemstone alongside diamond and emerald, and perhaps the name is not as catchy as “sapphire” or “ruby,” but corundum is nonetheless precious. Remember that the dividing line between pink sapphire and ruby is quite blurry. 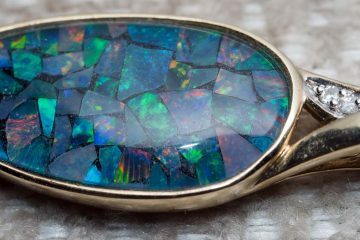 Depending on the location where you are shopping, you could see the same gemstone classified either way. 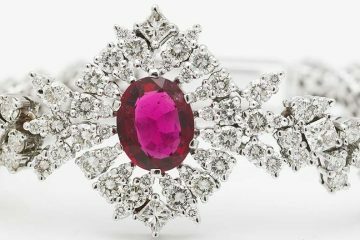 Since both sapphires and rubies are considered precious and are technically types of corundum, the classification is not overly important—only the quality. 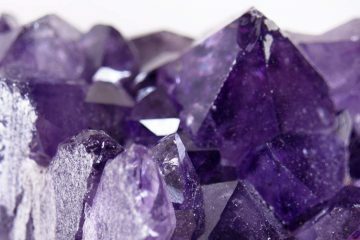 So long as you are getting a fair price, corundum by any other name is just as beautiful.